The misguided drumbeat to privatize America’s four remaining public shipyards is proceeding apace. 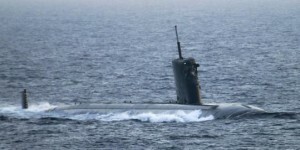 The latest volley, fired by the Congressional Budget Office (CBO), is a September 2018 report, “Comparing the Costs of Submarine Maintenance at Public and Private Shipyards.” CBO researchers looked at the DSRA costs (Docking Selected Restricted Availability) for SSN-688s over the PAST TWENTY YEARS (!! ), and came to the obvious “conclusion,” which was, in so many words, that public shipyards are terrible, overpriced and need to be privatized. Yes, of course, the public yards cost a lot and have a lot of inefficiencies. But the trade-off is that the Nation’s private shipyards do highly-skilled work that is difficult to compete and complete. One yard is based forward, at Hawaii, far from where traditional shipyard labor-forces concentrate. In essence, these shipyards offer the government convenience and schedule flexibility that private shipyards will never match. 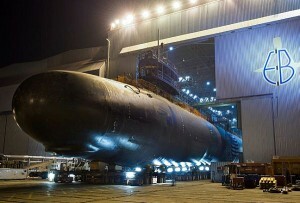 Recently, several navy attack submarines have been delayed in receiving maintenance at public shipyards. As a result , they have missed deployments or had shortened deployments. 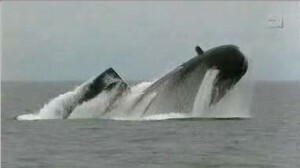 They Navy could send some submarines to private shipyards for overhauls. However, the Navy has state that it prefers using public shipyards because it believes that they cost less. To make that case (and there is a case to be made for more private-sector support for subs! I’m not a private-sector yard hater!! ), the CBO needed to drill down into present demand, costs, and possibly discuss how maintenance work could help grow the cadre of workers needed to absorb demand from the SSBN program and a likely uptick in SSN production. But instead, they go dig into ancient history for pricing data. Because HII and General Dynamics need to feed their stockholders and want more tasty, high-margin sub maintenance and nuclear ship decommissioning work. 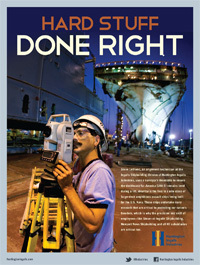 It is beyond stupid to employ 20 year-old data to inform modern-day shipyard performance requirements. This CBO report was not trying to help solve the immediate maintenance problem, but it was just another front in the effort to privatize everything. This whole public shipyard privatization exercise gets back to a simple logical fallacy that national security is a business. It is not. The U.S. Navy is not businesses and Congress cannot expect any navy to operate like a business. Public shipyards are going to be, by their nature, sloppy things. They can’t, for example, engineer and refine their labor mix as easily as private entities, firing and hiring as needed. Though they are in shipbuilding centers, they’re also–as I have said before–set forward, in places like, oh, Hawaii, to support the fleet where support is needed. Public shipyards are also going to be working issues that are often very “niche” oriented, where highly-skilled labor is needed and the prospect for viable private competition is limited. Public shipyards are the last place to seek lowest-cost-technically-acceptable solutions. Yes, public shipyards DO compete with the private sector. Yes, there’s a reason why hungry ship-repairers like Detyens and Vigor aren’t in the sub business. But the idea that public shipyards and their highly-trained workforces are ripping opportunities from the poor mom-and-pop private shipyards is, frankly, overdone. Right now, most public shipyard work is a niche stuff that could only really be done by Huntington Ingalls and General Dynamics. Now, there is a case for giving HII and General Dynamics more submarine work. But they need to compete now, today, and not rest on price/competition laurels from two decades ago. By peddling twaddle, the CBO lost an opportunity to do the Navy some real good. The CBO looked at the cost of Los Angeles Class SSN Docking Selected Restricted Availabilities (DSRAs) from 1993 to the present. Their result–that the public yards were fleecing the taxpayer to the tune of forty percent came after sprinkling the numbers under so much fairy dust estimates that is impossible to distinguish truth from fiction. To me, that failure to show the statistical “work” is always a “tell”. We are looking a present-day conditions–ostensibly, if the CBO wasn’t looking at privatization, the CBO is looking for ways to help relieve the present-day backlog in Sub maintenance, right? So why go waaay back to 1993 to look at cost records. Focus on the most recent work–the stuff that wasn’t done twenty years ago. If you look at the last decade–the 2010s–what is immediately obvious is that only two public yards have completed Los Angeles Class DSRAs. Those yards are the Pearl Harbor Naval Shipyard and the Portsmouth Naval Shipyard, with Pearl Harbor carrying most of the load. Of the public shipyards, they’re the most expensive. And yet, the CBO, for this time period, discovered the cost difference between the private and public yards is, oh, roughly 25%. That, right there, is also a “tell”. When the “correct” answer isn’t obvious, just reach for more and more data until the answer appears. The labor alone almost makes up for the difference. Using the FY-19 man-hour labor cost figures (available in any O&M budget justification book), labor costs at Pearl Harbor are about 20% higher than work done at at a center of shipbuilding/shipwork like Norfolk (from the Feb 2018 O&M justification book, PHNS estimated labor cost per man/day was $1005,59 and PNS was $984.75 while NNS was $817.86). Eliminate East Coast transit cost and the cost of accommodating a Hawaii-based crew in CONUS for 100+ (Or, as I explain below, 400+) days, and suddenly the cost differential from exploiting the HII labor force becomes far less exciting. And then there’s the time differential. Since 2010, the public yards kept their subs for, on average, 209 days. The private yards took twice as much time–399 days. How much operational time does that eat up? I mean, look HII got USS Helena’s DSRA started last October, and, as of August, the yard was getting change orders/contract modifications for millions of dollars. That dancing around obvious problematic data is a “tell” too. And what it all ultimately tells me is that this report is little more than a hatchet job. The CBO is full of sh*t.
Really. There’s no other way to put it. I am ashamed that our local defense journalists didn’t call the CBO on this transparent piece of “casework”, and call it for what it is (it’s not a press release, guys….reports are made to be reviewed with a jaundiced eye). Eric Labs should be ashamed this came out of his shop. Don’t get me wrong. The public shipyards serve a purpose. They help the Navy get the job done. But they’re not meant to be profit-centers–they’re often doing difficult jobs in places where there’s nobody to do it. Likewise, private sector shipyards have hurdles to overcome. They need to build a labor force. If there’s a work backlog, then it makes some sense (if there’s an economic case to be made) to throw a bit of this work to the private yards to help them grow the workforce required for the SSBN recapitalization. If HII puts some investment into Pascagoula to re-introduce their old, long-retired submarine shipyards there, then it might be useful for the Navy to send some of the SSN maintenance backlog down there to build up a sub-ready workforce in that soon-to-be-contested part of the world. But, at the end of the day, the market rules. And if the private shipyards cannot do the job, the Navy is under no obligation to subsidize or otherwise coddle them. Look, everybody loves to hate public shipyards. But they do good work and fulfill needs that the private sector cannot–or won’t–meet efficiently (Guam’s shabby shipyard looks up from the bar, waves and the Coast Guard’s shipyard looks up from his lottery cards and shouts a colorful oath or two). Let’s get over it, and rather than just arrange for a fat-cat transfer of assets to the private sector, let’s urge Congress to give the private yards the funds they need to recapitalize their crumbling infrastructure, add a few extra dry-docks, and really get about enabling these pieces of infrastructure to do their job of supporting the national security of the United States. America’s submarine production confusion is China’s and Russia’s gain. Americans need to get used to being number 2 or even 3 in the submarine sphere.